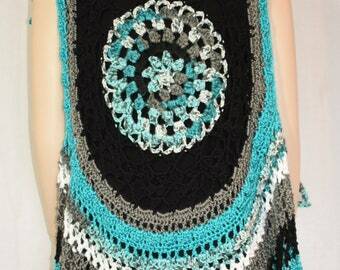 Announcement Great Crochet offers one of a kind hand crocheted halter tops, ponchos, shawls, circle vests and beachwear for your next festival, party, cruise, special event - or even to wear everyday! 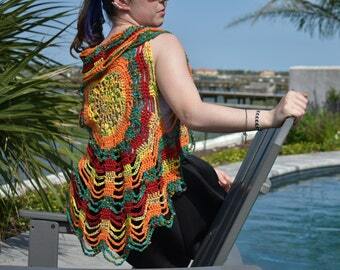 Great Crochet offers one of a kind hand crocheted halter tops, ponchos, shawls, circle vests and beachwear for your next festival, party, cruise, special event - or even to wear everyday! It's almost music festival season! Time to start shopping for your festival outfits for the season! 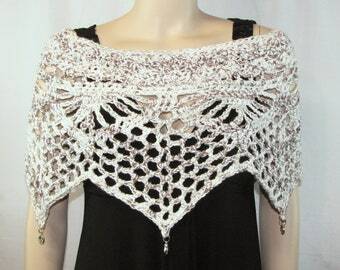 My new line of Dragon Wing shawls would be perfect for Christmas gifting! Ready made or special order in that made-just-for-her color! Booth at outdoor craft show. 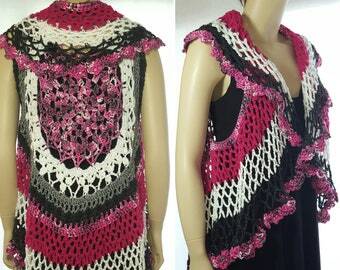 4-way photo of Infinity Twist Poncho - my original design!! Eight of my sibling in 1962 in Christmas outfits my very creative Grandma made! My Great-Grandmother is in the photo. I've never thought of myself as creative, but some folks tell me I am. I was raised in a family of 13, many of whom are TRULY creative in arts, crafts and music. With a family that size, my parents were obsessed with economy and recycling which I took to heart. My passion is finding ways to use yarn left over from other crochet projects. Crocheting is satisfying in soooooo many ways...... I get to feel luscious yarns in my hands, create items from something as simple as yarn, combine festive yarn textures and colors, and make efficient use of small amounts of "orphaned" yarn. I'm happy to share my creative dabblings and hope that wearing my creations brings you as much happiness as they give me while crafting them. Handicrafts have always been a central part of my life. As long as I can remember, I've been fascinated with yarn and fiber. 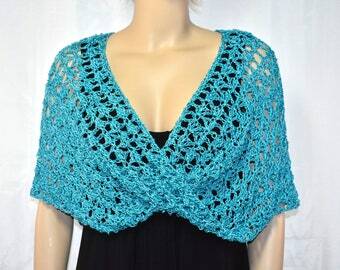 It's a pleasure to create unique, one-of-a-kind, handmade crocheted items to share with you. My unique family instilled in me a love of handicrafts. 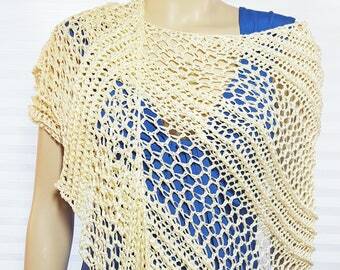 After learning various crafts, I became especially fond of crocheting. 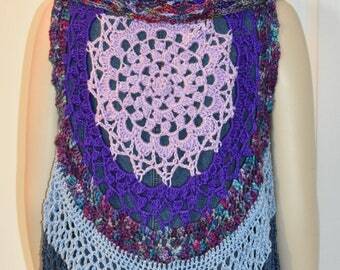 I'm constantly amazed at the fabulous fiber combinations that can be created.